“Accessible Tourism” is a destination management plan that enables businesses to add a disability-friendly guide to their website before the 2018 Commonwealth Games. 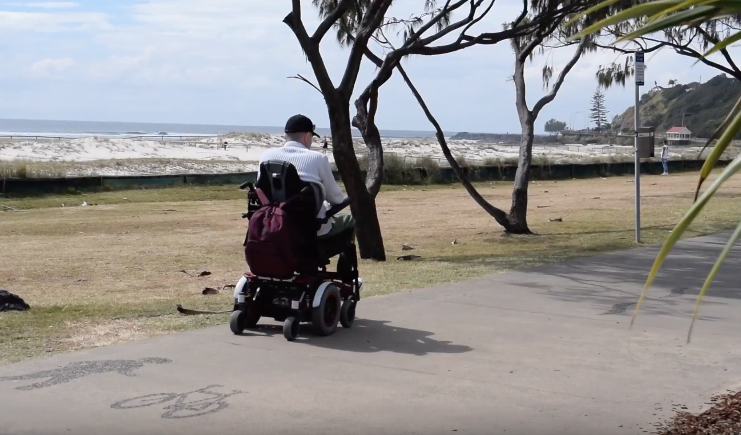 The initiative was created in collaboration with the Gold Coast and Queensland government and will mean people travelling to the Gold Coast with a disability will be able to find suitable accommodation and activities for their needs. From April 4-15 2018 the Gold Coast will host the Commonwealth Games, the largest multi-sport event to hit the Gold Coast. The event will bring 18 sporting disciplines to 18 venues and host more than 6600 athletes and team officials from 70 nations and territories. There are almost 40,000 spectators predicted to attend both the opening and closing ceremonies at Carrara Stadium, with 1.5 million tickets expected to be sold for the full 11-day competition. The Gold Coast 2018 Commonwealth Games Corporation (GOLDOC) will have a team of more than 1000 paid employees, 15,000 volunteers and 30,000 external service providers, and an expected broadcast audience of around 1.5 billion. Naturally an event of this scope will create numerous opportunities for tourism on the Gold Coast. Accessible tourism is only one of the 68 actions expected to roll out in the 5 year plan which begins with the games and seeks to double visitor expenditure. The foundation of the plan is to create inclusiveness for people of all abilities so that everyone can enjoy what the Gold Coast has to offer, ranging from people with disabilities to mums with prams or the elderly. Brett Morris, who attended the Accessible Tourism Forum back in February, hopes he can pass on some of his first person experience to make the Commonwealth Games a more accessible experience for all. He was injured in a football accident at just 21 years old. He has now been in a wheelchair for 24 years. “It was a normal tackle and then the bloke who come over the top came straight over my neck and that was it, I knew straight away,” Mr Morris said. Mr Morris made the move from rural Dalby to the Gold Coast in hopes for an easier life. “Out there they had nothing, absolutely nothing, no toilets, no public toilets- they got some ramps at the carparks, but when you got out, you go out into traffic, so they designed them wrong,” he said. Although he thinks it’s better on the Gold Coast than in Dalby, he still thinks there’s a lot more that could be done. “There’s places where you can go and can’t go and that sort of determines, like if I want to go out with my friends, I have to always check if I can get in, if there’s enough seating, if they’ve got toilets (I can access),” he said. Mr Morris is an ambassador at the airport and drives his wheelchair 40 minutes to and from work. He has offered his services to the airport and the Gold Coast government to help this initiative from his perspective. “Nine times out of ten, they get most information just off people, they need to get it off people in wheelchairs and they need to experience it for themselves,” he said. Mr Morris said Australia would do well to follow in America and New Zealand’s footsteps. “Getting off and on buses you’re locked down (in those countries), in Australia you’re not,” he said. “I just found people are more accepting and more caring, people were more helpful. Accessible tourism accounts for 8.2 million overnight trips and $8 billion of Australia’s overall tourism expenditure. 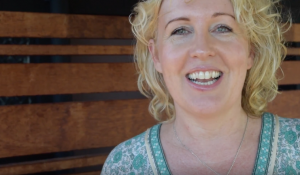 Representative of Gold Coast tourism, Lenna Klintworth, is at the forefront of this initiative. Ms Klintworth said there’s a massive market for accessible tourism and people are just starting to realise that. 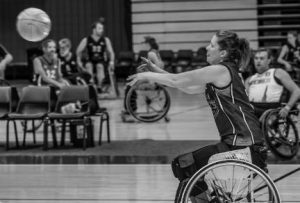 “Because the Commonwealth Games are the most inclusive games ever, that is how accessible tourism began to grow within the city because the council started having conversations with Gold Coast Tourism and GOLDOC,” Ms Klintworth said. 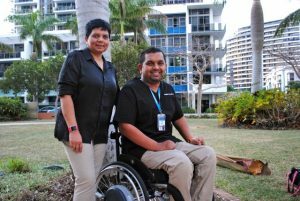 In February this year the City of Gold Coast and Gold Coast Tourism, with the support of the Gold Coast 2018 Commonwealth Games Corporation, held the first accessible tourism forum with more than 270 attendees. Ms Klintworth said what she gathered from the forum was that the industry wants to do the right thing but isn’t sure how. 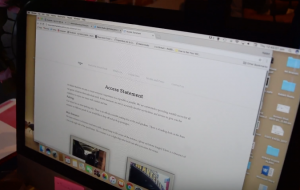 Businesses will be asked to place an accessible tourism guide on their website. GOLDOC have surveyed about 150 accommodation places on the Gold Coast to help them identify which are fully accessible for people with disabilities. 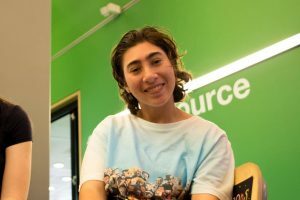 “What we have discovered from the forum and with the games coming was that businesses want to be accessible,” she said. “We’re not asking people to put in ramps or make massive changes, but focus on what they’ve already got. Kath Gooley, Event Co-ordinator at Miami Marketta said they couldn’t be more excited to be one of the first businesses to take part in this project to improve accessible tourism. ‘Basically, for us it’s just about inclusion and having everybody come and enjoy our venue not only just for the games but for the future as well,” Ms Gooley said. Mr Morris urges businesses to get on board the Accessible Tourism plan and hopes this will shape a better future for the Gold Coast. “If you know about a hotel and its set up right you’ll have that ease of mind and you’ll always go back, its one less thing to worry about and you can really enjoy yourself if you go on holiday,” he said.